Premoistened Wipes Deodorize and Help Relieve Fungal and Bacterial Skin Infections Like Hot Spots, Ringworm in Pets. Helps Heal Skin Infections. Superficial Cuts, Abrasions and Insect Bites and Pet Acne. Kills Bacteria and Yeast Most Commonly Associated with Skin Infections in Dogs and Cats. 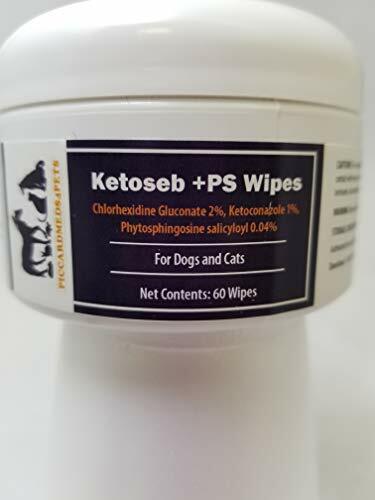 If you have any questions about this product by Ketoseb Chlorhexidine Wipes + PS, contact us by completing and submitting the form below. If you are looking for a specif part number, please include it with your message.